Over-the-counter denture cleaners cannot remove tartar from dentures or dental partials. Professional denture cleaning and polishing will eliminate most stains and tartar buildup on dentures and denture teeth. Tartar buildup on dentures can be most noticed between the denture teeth and on the sides of dentures as a vanilla colored crust. It is the same type of tartar that a dentist cleans off of patient’s natural teeth. Denture teeth are just as susceptible to the destructive effects of denture plaque as natural teeth. Once denture plaque hardens into calculus, it can present an irresistible invitation to bacterial problems, gum disease and irritations, and a range of digestive problems. The American Heart Association says that bacteria found on the dentures may affect the heart and contribute to heart disease. Semi-annual professional denture cleaning and polishing will help to maintain your oral health and appearance. Professional Denture Cleaning and Polishing is available for all types of removable prosthetics like: acrylic dentures and dental partials, flexible partials, flippers and night guards. Professional denture cleaning will remove denture glue or denture self-repair kit you ave used to self-repair your broken denture. Do not soak dentures with denture tablets or denture cleaning solutions to remove denture stains, instead send your denture for a professional denture cleaning and polishing. You will be glad you did! Your denture will look like new. 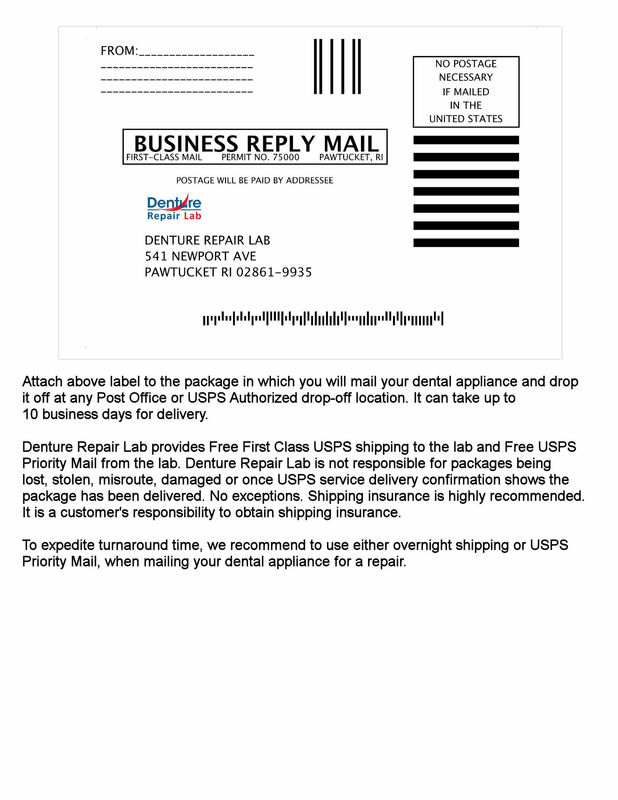 We know how hard it is for you to be without your dentures, therefore professional cleaning is completed same day and denture is mailed back to you with complimentary USPS Priority Mail. Tracking number will be provided via email.